On March 11, 2011, the unthinkable happened. The “Great East Japan Earthquake” — the largest earthquake ever recorded in Japan — led to a tsunami, which together led to a major nuclear accident at Fukushima Daiichi power plant. This series of accidents has become known as Japan’s “triple disaster.” The earthquake and tsunami had devastating effects, killing over 15,000 people and destroying large parts of the regional infrastructure and houses. This virtual special issue focuses on the Fukushima Daiichi disaster that followed, as it has had very broad consequences for Japanese and international energy policies, the direct environment, public opinion on nuclear energy, and disaster management. 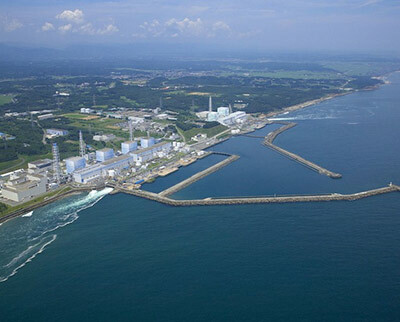 The earthquake vibrations caused the automatic shutdown of 11 power plants around the country, including three reactors at the Fukushima Daiichi nuclear power plant. The tsunami that hit the shore about 50 minutes later caused an unprecedented chain of events at this particular power plant. The emergency diesel generators that should have taken over became flooded and stopped cooling, three of the plants’ reactor cores started melting, and radioactive material was released by hydrogen-air explosions and by intentional venting in an attempt to let steam out to release pressure on the reactor vessels. 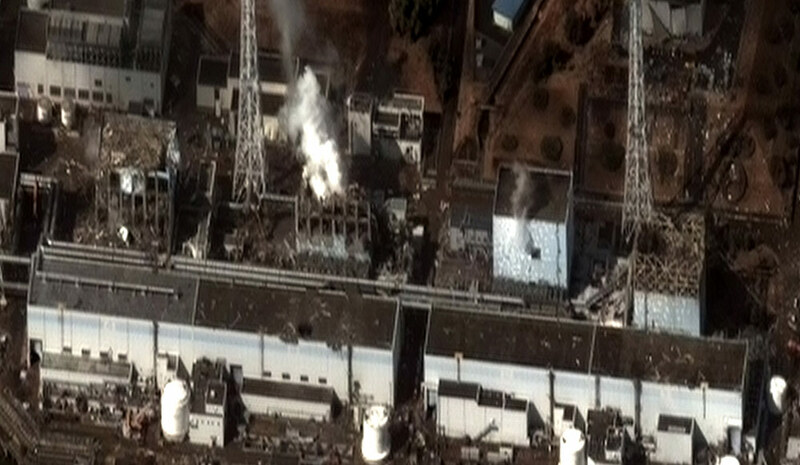 Massive evacuations up to 30 kilometers from the plant were executed within days, and eventually the entire Japanese nuclear power enterprise was shut down. The effects of this dramatic event have been widespread. Not only has the accident directly affected the lives both of the workers at the power plant and over 150,000 evacuees (with the majority still living in temporary housing); it has also had a massive impact on the atmospheric and natural environment, the economic and political situation, and human psychology and health. On a broader scale, the Fukushima accident has reignited discussions on nuclear energy and policies worldwide. Here, we present a selection of important and impactful studies about the accident – and related accidents such as the Chernobyl disaster. By highlighting the tragic incident from various perspectives, we aim to stimulate discussion and broaden understanding across a wide range of disciplines spanning physics (radiation), engineering, environmental science, oncology and genetics, human psychology, economics, nuclear energy, and policy and regulation. We hope these resources prove interesting and offer useful insights from the full range of disciplines. These articles are freely available to access until the end of 2016. We plan to add to the selection as more research on the topic is expected to be published this year. Five years ago, a magnitude 9.0 earthquake and subsequent powerful tsunami struck Japan, directly killing over 15,000 people. The dramatic events that were provoked in the Fukushima Daiichi nuclear reactor complex sharpened the concern of scientists, engineers and general public on technical, environmental and societal issues that call into question the potential of nuclear power to provide a growing, sustainable resource of CO2-free energy. The urgency stems from both the potential harm that could result from severe accidental or intentional damage to nuclear facilities and also due to the extensive economic impact of such accidents and of the measures taken to avoid them. Following the massive earthquake, at least 11 of Japan’s nuclear reactors shut down immediately, as planned, by automatically inserting their control rods into the reactor core. Circulating electrical pumps powered by emergency diesel generators provided for removal of the residual waste heat in the reactor pressure vessels. At Fukushima about an hour following the earthquake, a huge tsunami struck, easily flooding over the seawall and destroying the diesel generators. The melting of the reactor cores in Reactors 1, 2 and 3, occurred within hours once the diesel generators and reactor-core isolation pumps had failed. The overheated zirconium sheath of the fuel reacted with steam above the water in the reactor pressure vessel to produce hydrogen gas. 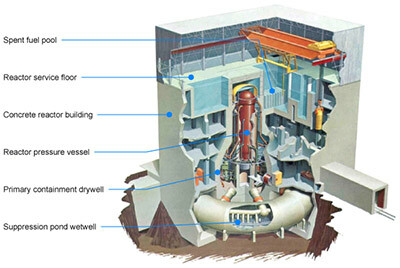 Within days, the “primary containment” of the reactors had to be vented, releasing radioactive materials from the reactor core, in addition to the hydrogen that was over-pressurizing the containment – the Japanese reactors did not have venting filters. Hydrogen explosions within the buildings further augmented the dispersion of radioactivity. The response of technologists to the Fukushima accident has ranged across a broad array of disciplines leading to a multitude of analyses, technical reports and peer-reviewed papers. Japan, the United States and France have committed to deploy additional, more survivable safety systems at each nuclear plant. The European Community has required each member state to perform an evaluation (a so-called “stress test”) of each nuclear power plant to search for safety vulnerabilities related to the issues emerging from the Fukushima accident. Much more needs to be done, most often on a plant-by-plant basis as part of dedicated program of upgrading both the plants and their operations. In terms of the potential effects of the release of radionuclides into the environment, it is crucial that the lessons learnt in the aftermath of past radiological emergencies affecting populations, such as the Chernobyl accident, are applied in the case of Fukushima. One aspect of such follow-up work that may be relevant to include is the assessment of radiation dose to populations in communities affected by fallout, using techniques of retrospective dosimetry that have been developed using materials in the environment (discussed by Chumak) and in the human body, such as tooth enamel, that can serve as surrogate dosemeters, as discussed by Toyoda et al. The papers in this section aim to provide a technical explanation of what went wrong to cause the fatal chain reaction, and how levels of radioactivity were measured after the incident. The accident at the Fukushima Daiichi Nuclear Power Plant in Japan in March 2011 resulted in the release of several hundred PBq of activity into the environment, predominantly I-131, Cs-134 and Cs-137. Most of the radioactivity was released in a time period of about 40 days. Radioactivity was dispersed in the atmosphere and the ocean and subsequently traces of radionuclides were detected all over the world. The accident scenario and the radioactive releases have given rise to a number of scientific investigations, where fast response times for scientific investigation have been critical for the study of short lived isotopes. Atmospheric dispersion, for example, was studied by utilizing existing national and international monitoring networks. The release has provided scientists with the opportunity to study the dispersal and environmental fate of several radioisotopes, in particular I-131, Cs-134 and Cs-137. 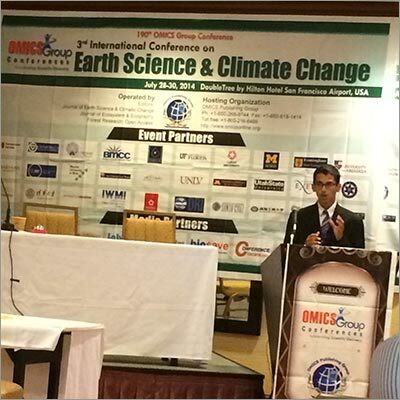 Environmental impact has been studied for terrestrial as well as marine environments. Studies of plants and animals in the forests of Fukushima have recorded a range of physiological, developmental, morphological, and behavioral consequences of exposure to radioactivity. Various effects have been observed in the exposed populations of, for example, Fukushima monkeys, butterflies, birds, trees and aphids. Sampling in the marine environment that assessed radiation exposure to marine birds, benthic biota and macroalgae, indicated doses below the thresholds for detection radiation effects in these populations. When compared with the Chernobyl accident, the impact of the Fukushima accident seems to be far less severe. Naturally, several studies have been undertaken to assess impact on human health as a consequence of the Fukushima Daiichi NPP releases. While numbers for global and local mortality and morbidity vary between the studies included here, it is also evident that the impact is far less than when compared to the Chernobyl nuclear accident. The articles included in this section therefore attempt to provide the reader with an up-to-date overview of the atmospheric and marine dispersion of radioactivity and the impact of the accident in the natural and human environment. The Evangeliou et al article is focused on modelling the impact of radiocaesium releases from Fukushima to provide preliminary cancer risk estimates in terms of excess lifetime incident and death risks. Estimates indicated 730 to 1,700 excess cancer incidents would be expected, of which around 65 percent may be fatal, with figures very close to actual data demonstrating the robust methodology applied. Placing the accident in context, cancer risks were estimated to be small for the global population in regions outside Japan and far smaller than seen for Chernobyl. The Aliyu et al article is a comprehensive review of impact with respect to interactions of the released radionuclides with the environment and subsequent impacts on human and non-human biota. Based on published data, maximum estimated human mortality due to the Fukushima nuclear accident was estimated to be 10,000 and the maximum estimates for lifetime cancer mortality and morbidity are 1,500 and 1,800, respectively. The Steinhauser et al article has a clear message: 10 times more radioactivity was released into the environment from the Chernobyl accident compared to the Fukushima accident, and consequently the environmental impact was correspondingly different. Importantly it also points out the great differences in terms of emergency management, such as the fast and effective reaction of the Japanese authorities with respect to evacuation and distribution of iodine pills, despite the complete breakdown of infrastructure caused by the tsunami. The Vives i Batlle et al article assesses the impact of Fukushima nuclear accident on marine biota during the first year after the accident. Using an extensive data set, the researchers concluded that the dose calculated will unlikely cause effects at the population level. The only exception was radio-iodine in microalgae close to the discharge point during the earlier phase of the accident. Attitudes towards nuclear energy and radiation are ambivalent. It is widely acknowledged that the use of radiation therapy in cancer treatments can be extremely effective. At the same time, there continues to be a general fear of nuclear power generation and the accidents that have occurred at these facilities. Over the past 30 years since the Chernobyl disaster, the health and environmental effects of radiation exposure have been extensively researched with many studies assessing the increased risks and associated mechanisms of developing cancer, cardiovascular disease, and genetic mutations. Studies have also looked at the long term psychological impact of such disasters. The below selection of papers aims to provide an overview of the current research in this area together with a summary of lessons learned from nuclear disasters such as Chernobyl and Fukushima. The selection also includes articles which show the potential benefits of exposure to low-dose radiation on gene expression. There are two autobiographical perspectives provided by authors living in Fukushima Prefecture, which describe how these communities dealt with, and are continuing to deal with, the impact of this disaster. 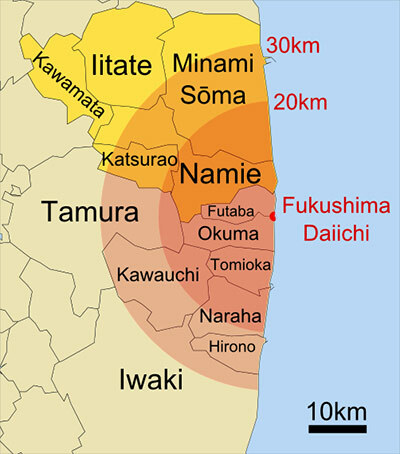 The Fukushima Daiichi power plant accident led to a massive evacuation of over 150,000 residents from the Fukushima prefecture and beyond. Some were forced to leave — those within roughly the 20-kilometer evacuation zone — some left voluntarily, and some decided to stay while strongly advised to evacuate. Currently, almost 100,000 remain evacuated. Of these, many live in temporary housing, with relatives, or have simply built a new life for themselves elsewhere. Although the Japanese government has presented their plans to have two-thirds of all evacuees safely returned by March 2017, a majority of evacuees remain hesitant and skeptical about returning home. This is thought to be not only because of presumed health risks but also out of fear for losing the financial support evacuees have been receiving for the past few years. The effect of people having to leave their homes and lose their work has inevitably led to feelings of insecurity, stress, “transfer trauma” and psychosomatic complaints. In addition, the incident has had significant long-term economic effects. The total damage caused by this disaster is estimated to be in the range of hundreds of millions of US dollars, a large part spent on evacuee compensation. As a result, the power plant operator, Tokyo Electric Power Company (TEPCO), went bankrupt and was nationalized. The following papers deal with the economic, physiological and sociological effects of the Fukushima disaster and its aftermath. The selection contains a “lessons learnt” section on how to execute such a massive evacuation, an overview of the more long-term international economic and labor market impacts, and looks at how the accident has influenced the public’s perceptions about nuclear power. Every nuclear energy facility design embodies safety as one of its primary characteristics and as the basis for operational procedures and protocols. Over the past 40 years, much has been done to improve safety and its evaluation. Both manufacturers of nuclear reactors and operators of nuclear power plants and fuel cycle facilities must devote significant resources to understanding and improving the operational safety of their facilities. These safety measures are typically legally mandated and are regulated by the Nuclear Regulatory Commission (NRC) in the United States or its equivalent elsewhere. Despite these measures, serious reactor accidents, although rare, continue to occur, with the accident at the Fukushima Daiichi power plant being the most recent example. Japan has specified measures to be taken to prevent future accidents; other countries have made similar commitments. In the United States, through orders by the NRC, several new near-term safety requirements are being implemented. Others will certainly follow soon. Despite the many safety regulations, nuclear accidents like Fukushima traditionally lead to heated discussions about nuclear energy. Regardless of the advantages nuclear energy may offer, we have seen that public opinion is easily changed and social acceptance has reduced post-Fukushima. Some countries, such as Germany, have decided to reduce or even phase out their nuclear energy programs as a result. These selected papers present studies on policy and regulation to improve safety in nuclear facilities and effectively meet energy demand post-Fukushima in countries across the world. We hope this collection will be of direct help to those with an interest in or working to strengthen the safety and security in nuclear power generation. Dr. William Barletta is Adjunct Professor of Physics at MIT and UCLA and Visiting Professor on the Faculty of Economics at the University of Ljubljana in Slovenia. He is the Director of both the US and the Korean Particle Accelerator Schools. 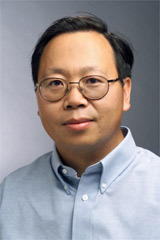 His broad range of professional research activities include free electron laser physics for ultra-fast synchrotron radiation science, design of colliders, high intensity linacs and cyclotrons for high energy and nuclear physics, ion beam technology for nanofabrication of integrated circuits, and compact plasma-based neutron and gamma sources for medicine, research and security applications. He has strong secondary research interests in international legal and policy aspects of cyber-security and cyber-conflict and in strategic management of research institutions. Dr. Barletta is the Coordinating Editor of Elsevier’s journal Nuclear Instruments and Methods in Physics Research Section A: Accelerators, Spectrometers, Detectors and Associated Equipment. In addition, he is editor and co-author of four books about accelerator science and co-author of four books concerning cybersecurity, privacy and international cyber-law. 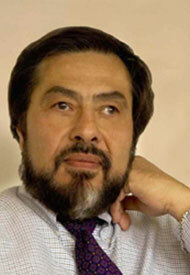 He holds four patents, and is author of more than 170 scientific papers. He holds a PhD in Physics from the University of Chicago and is a fellow of the American Physical Society. José Stoop is the Publisher of Elsevier’s Radiation and Space portfolio, which includes the journals Radiation Measurements, Applied Radiation and Isotopes and the society journal Advances in Space Research. She studied organizational and clinical psychology at the University of Amsterdam. After a few years working as a research assistant at a national and longitudinal study about depression and anxiety, she commenced a PhD track but realized this was not her path. Soon after, she started at Elsevier, which she says provided her with “just the right balance of working with academia in a large and international company.” At Elsevier, José Stoop has been working since 2008 as Publishing Editor, Associate Publisher and currently as Publisher. Catherine O’Hara has a Natural Sciences degree from the University of Cambridge. After graduating and having a year at art college, she started her publishing career with the British Journal of Cancer. She then held various publishing roles at Taylor & Francis and Harcourt. She has managed several lists of journals in her 15-year career at Elsevier, including those in the areas of Infectious Diseases, Dentistry, Medical Informatics, Obstetrics and Gynecology and Respiratory Medicine. She is currently based in London as an Executive Publisher for a portfolio of Radiology, Medical Imaging and Radiation Oncology journals. Dr. Richard Hugtenburg began his career in New Zealand, working as a medical physicist, where he studied for a PhD, which focused on the use of Monte Carlo methods in radiotherapy treatment design. Richard moved to the UK in 1997, continuing to practice in radiotherapy physics, first at the Queen Elizabeth Medical Centre in Birmingham and then at Singleton Hospital, in Swansea. He is Senior Lecturer in Medical Physics at Swansea University and coordinator of the MSc in Medical Radiation Physics. His current research includes the development of silicon and diamond-based dosimeters needed for the dosimetry of new, high-resolution radiotherapy modalities and Monte Carlo modelling of radiation processes, in particular modelling the therapeutic and carcinogenic effects of radiation on cells. Richard also has an interest in structural analysis of tissue and the use of this data in emergent radiotherapy techniques, including binary therapy, where cancer is targeted more effectively with radiation-activated compounds. Dr. Nikolaus Hermanspahn is one of the senior scientists in ESR’s Radiation Science Group, and a team member at the ESR-managed National Centre for Radiation Science (NCRS). Much of the group’s work is centered around assisting ministries, other crown research institutes, regional government and the export and import industry to meet their needs on measurement of low levels of radioactivity. Through the NCRS, Nikolaus and his team members also test food imports and exports to make sure they are within the limits of acceptable radioactivity levels. 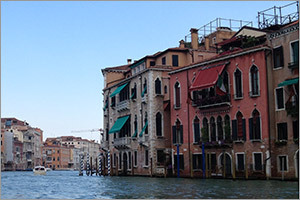 Beyond testing food as it arrives in New Zealand, ESR also takes a proactive research role. For example a recent ESR-led student project measured radiation concentrations in fish and sea cucumbers in Wallis and Futuna, Tonga and New Caledonia to see if radiation levels were higher following the Fukushima Daiichi Nuclear Reactor Accident. Another area of work is ensuring New Zealand's drinking water is safe. The NCRS team works closely with the water group at ESR to test drinking water to check for compliance with the New Zealand drinking water standard. Damià Barceló is Full Research Professor at the Institute of Environmental Assessment and Water Studies IDAEA-CSIC (Barcelona, Spain) since 1999 and Director of the Catalan Institute of Water Research (ICRA) (Girona, Spain) since May 2008. 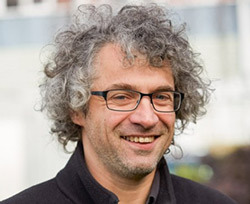 His scientific focus is on the Fate and Risk of Emerging Pollutants such as Pharmaceuticals and Nanomaterials in the Environment and on the Water Pollution Control and Protection under Scarcity .His expertise is documented by the number of original publications (> 750), an H index of 79 and the supervison of 40 PhD thesis. In 2007 he was awarded the King Jaime I Prize for the Protection of Nature from Generalitat of Valencia, Spain, for his outstanding scientific work. In 2011 he received the Prince Sultan Bin Abdulaziz International Prize for Water (PSIPW) 5th Award 2012 on Water Management & Protection, Saudi Arabia, and in 2012 the Recipharm Environmental Award, Sweden. Since 2011 he has been chairman of the Scientific and Technological Board (STB) of the European Union-Joint Programming Initiative on Water Challenges for a Changing World. Dr. Jay Gan is a Full Professor in the Department of Environmental Sciences at the University of California, Riverside, where he also served as the Department Chair in 2007-2010. His research and teaching has a focus on fate, transport, ecotoxicology and pollution management of legacy and emerging contaminants in the environment, soil chemistry, water quality and environmental sustainability. To date he has authored 230 technical journal articles and four edited books. His ISI (Web of Knowledge) citations are 5750 with an H index of 43 (as of January 2016). At UC Riverside, he teaches a large undergraduate student class “Introduction to Environmental Sciences” and a graduate student class “Fate and Transport of Chemicals in Environment.” He currently supervises six PhD, students, two postdoctoral scientists and several visiting scholars or students. Dr. Ruth Alcock trained as an environmental chemist (PhD Lancaster, 1994) and developed a distinctive international profile of research targeted on the human health implications of chemical exposure. 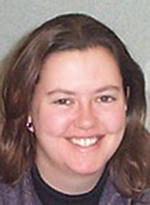 From 2003 she was based in the Lancaster Management School working alongside social scientists and focused on the interdisciplinary management and regulation of a range of contemporary risk issues. These included projects focused on risk migration and transformation, characterizing the disparity between risk measurement and risk management, the broader impacts of new technologies and the regulatory implications associated with mixtures of chemical hazards. 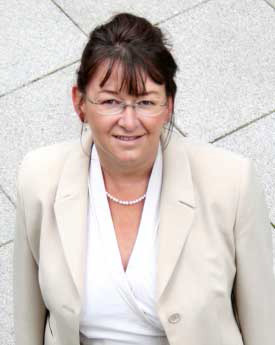 She now leads environmental ‘research to impact’ activity in the Lancaster Environment Centre, co-designing world leading research through working in partnership with business and other science and technology users. Dr. Adrian Covaci is professor of Environmental Toxicology and Chemistry (Department of Pharmaceutical Sciences; Toxicological Centre) at the University of Antwerp, Belgium. He obtained the Ph.D. in 2002 and further had a post-doc fellowship from the Flanders Fund for Scientific Research (FWO) until 2009. In 2007 he joined the regular academic staff of the University of Antwerp as senior-lecturer and became full professor in 2012. He has been involved in the Toxicological Centre since 1997. 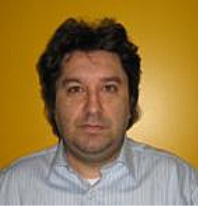 His research interests focus on the analytical, environmental, biomonitoring aspects and risk assessment of emerging organic contaminants, elucidation of exposure pathways to humans for organic contaminants, estimation of fate, occurrence, and consumption of illicit drugs and pharmaceuticals via wastewater analysis. 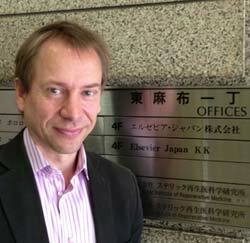 Dr. Anders Karlsson (@AKTokyo), is VP of Strategic Alliances for Global Academic Relations at Elsevier. He headed the Embassy of Sweden Office of Science and Innovation in Tokyo for five years, and was member of the Swedish Embassy's disaster management team in charge of Fukushima follow-up, from 2011 to 2012. He has a PhD in Electrical Engineering and served as Professor of Quantum Photonics at the Royal Institute of Technology – KTH in Sweden for 10 years.